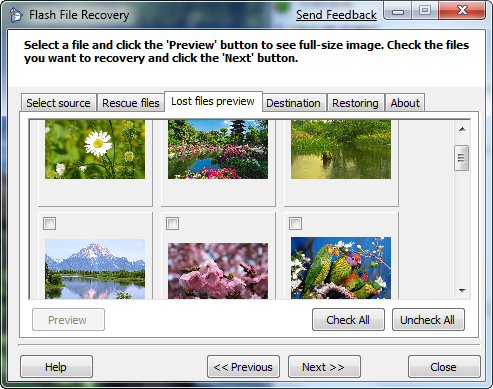 Flash File Recovery is an automatic utility for flash and digital camera memory data recovery. Flash File Recovery is a data recovery tool for various flash cards (SmartMedia , CompactFlash, Memory Stick, MicroDrive, xD Picture Card Flash Card, PC Card, Multimedia Card, Secure Digital Card, etc) and digital camera memory. It can effectively recover corrupted or lost data from formatted, damaged, unreadable or defective storage media.